Features: Type: Lift off lid - Holds 2pcs KAM KT10 speakers Material: 6.5mm / .. Features: Type: Lift off lid - Holds 1pcs KAM KT12 speakers Material: 6.5mm / .. Features: Type: Lift off lid - Holds 2pcs KAM KT12 speakers Material: 6.5mm / .. Features: Type: Lift off lid - Holds 1pcs KAM KT15 speakers Material: 6.5mm / .. Features: Type: Lift off lid - Holds 1pcs KAM KT15 Sub speakers Material: 6.5m.. Features: Type: Lift off lid - Holds 2pcs KAM KT15 Sub speakers Material: 6.5m.. Features: Type: Lift off lid - Holds 2pcs KAM KT15 speakers Material: 6.5mm / .. Features: Type: Lift off lid - Holds 1pcs KAM Pro Sub 15A speakers Material: 6.. Features: Type: Lift off lid - Holds 2pcs KAM Pro Sub 15A speakers Material: 6.. Features: Type: Lift off lid - Holds 1pcs KAM Pro Sub 18A speakers Material: 6.. 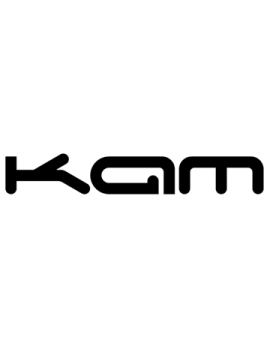 Features: Type: Lift off lid - Holds 2pcs KAM Pro Sub 18A speakers Material: 6.. Features: Type: Lift off lid - Holds 1pcs KAM Z1204 speakers Material: 6.5mm /.. Features: Type: Lift off lid - Holds 2pcs KAM Z1204 speakers Material: 6.5mm /.. Features: Type: Lift off lid - Holds 1pcs KAM Z1504 speakers Material: 6.5mm /.. Features: Type: Lift off lid - Holds 2pcs KAM Z1504 speakers Material: 6.5mm /..